Traditionally known for its rich history and quiet natural charm, Sri Lanka has more recently established itself as an adventure travel destination too. Whereas active holidays in Sri Lanka were once limited to pleasant hikes in tea country, adrenaline junkies of all ages and abilities can increasingly enjoy more boisterous pursuits including kitesurfing, whitewater rafting, and trekking. This is particularly good news for families, as there is now more to keep the youngsters happy than ever before – in between the temple visits of course. Not content whiling away the afternoons on the beach? The more adventurous among us might want to take a look at the following activities. Some of Sri Lanka’s most high-quality tea is grown in the Bogawantalawa Valley in the central region, marked by misty mountain roads and terraced tea slopes. To soak in fully the beauty and serenity of the surroundings, consider taking a guided trek through the valley, stopping to explore colonial-era tea plantations and understanding the processes that a tea leaf must go through to become the brew in your cup. The Bogawantalawa Valley is approximately 130 km from Colombo, and is best accessed by car or train. The scenic train ride to Hatton – the closest station – takes considerably longer than the road trip, but the seven-hour journey will be more comfortable if you are prone to car sickness. Hatton is pleasantly cool all year round, but the area is prone to landslides in the rainy season. The best months to visit are from January to April. A backwater compared to the more popular tourist spots around the country, Kalpitiya, on the northwestern coast, has slowly built a reputation for its kitesurfing. It is at the tip of a slender finger of land sticking out into the Indian Ocean, with a lagoon on its eastern side. New kite resorts in Kalpitiya run their own schools and offer special accommodation packages for kitesurfers. Rascals Kite Resort, a rustic hotel with colourfully decorated cabanas, is run by kitesurfing enthusiasts and has direct access to the lagoon. Bar Reef Resort, an eco-conscious hotel at Alankuda beach, also offers kitesurfing lessons and excursions to nearby lagoons. For a different kind of adventure, Kalpitiya has excellent opportunities for snorkeling and dolphin spotting. It is also only a two-hour drive from Wilpattu National Park, one of the country’s premier wildlife sanctuaries, which has the largest population of leopards. It’s well worth planning a day trip to Wilpattu while you are in the area. Spend at least three nights in Kalpitiya, especially if you intend to kitesurf, and an additional day or two for other excursions. The ideal time for kitesurfing here is between May and October. Wind conditions are milder but still favourable between December and March. Nuwara Eliya may now be an overdeveloped mess, but it is the gateway to one of the most unique landscapes in the country. Approximately 30 km uphill from the city is the Horton Plains National Park, a protected grassland spread out over a vast plateau that makes for a fascinating and moderately intense trek. A microcosm of Sri Lanka’s diverse topography, Horton Plains is marked by scrawny shrubbery interspersed with green hills and dense cloud forests. The 10-km trek winds through a rugged forest path that leads to a sheer precipice called the World’s End, and culminates in the Baker’s Falls, one of the park’s chief attractions. While not particularly challenging, the three-hour-long trek requires stamina and some agility. The ideal time to visit Horton Plains is at dawn, when low-hanging clouds lift to reveal the park’s surreal landscape. After 10am, the view from World’s End is likely to be obscured by cloud cover. The trip to Horton Plains and back takes half a day (or longer, depending on the length of your trek), so stay in Nuwara Eliya for two days. Your hotel should be able to help you book a van or SUV for the return journey. Note that low-clearance cars are likely to struggle on the bumpy road to the top. It’s best to visit Horton Plains during the dry months, between January and March. The train service between Colombo and Jaffna was once a lifeline connecting the two cities, but it was suspended for nearly 25 years during the country’s civil war. When the Yal Devi or Queen of Jaffna – an iconic train that plied the route for more than 40 years – resumed its run in 2014 after extensive track repairs, it became one of the most telling signifiers of the end of the war. The train remains the most memorable way to see the distinct shifts in landscape as you travel to the country’s northernmost reaches. It offers you glimpses of nondescript villages, lush paddy fields and the arid northern countryside, inaccessible until recently. 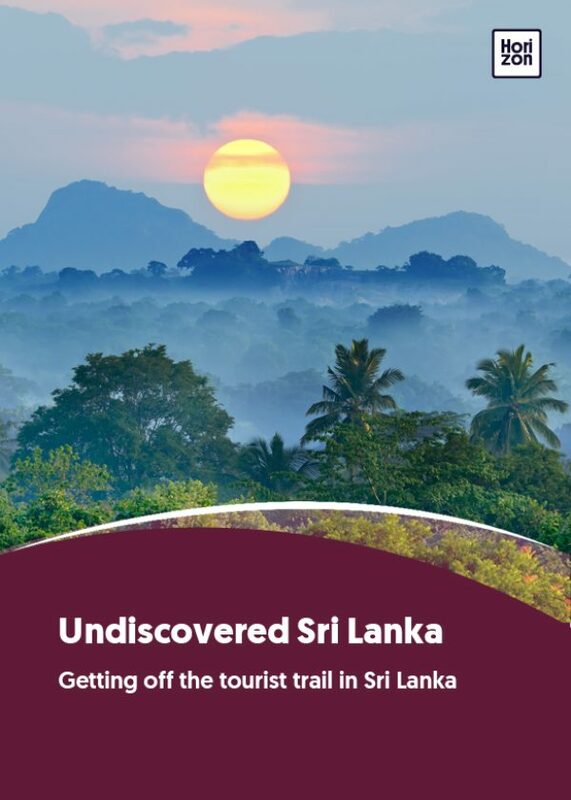 It is a journey that is likely to give you pause – and a break from the brochure-ready beauty of most of Sri Lanka. With its non-air conditioned coaches and vendors supplying a steady stream of snacks, the Yal Devi makes for a leisurely 10-hour ride. But if you’d prefer air-conditioned comfort, the speedy Inter-City Express is a better bet. The train service to Jaffna is a popular one, so it is advisable to buy tickets in advance from a railway station in Colombo (or in Jaffna, for the return trip). Tickets cannot be bought online, but a reputed travel agent should be able to arrange them for you. Of the many islands scattered off the coast of Jaffna, Nainativu – or Nagadeepa as it is also known – holds a special religious significance for Hindus and Buddhists. Believed to have once been home to a legendary tribe called the Nagas, Nainativu is best known for the Nagapooshani Amman Kovil, an ancient temple dedicated to Parvati, the consort of Shiva, the Hindu god of destruction. Nainativu’s importance is heightened by the fact that it is mentioned in both ancient Tamil and Buddhist literature. Apart from the temple, the island’s other religious attraction is the Nagadeepa Purana Vihara, which is counted among the holiest Buddhist shrines in the country. Legend has it that the Buddha visited the Nagadeepa Vihara on Bakmaha Poya, or the full moon day in April. Getting to Nainativu is an adventure in itself, and one that requires a degree of fortitude. The journey involves taking a bus or car from Jaffna to Kurikadduwan (KKD) jetty, some 36 km away, and then taking a ferry to the island. The ferries run at regular intervals but are notorious for being overcrowded, so keep that in mind when planning your trip. June and July are the most colourful months of the year to visit Nainativu – the temple hosts a 16-day thiruvizha festival during this period. Check the festival dates beforehand, and expect large crowds.